Akkrum is a railway station located in Akkrum, Netherlands. The station was opened on 1 September 1868 and is located on the Arnhem–Leeuwarden railway. 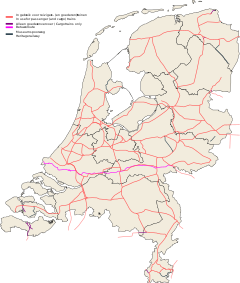 The services are operated by Nederlandse Spoorwegen. Bus services at this station are operated by Arriva. 11 (Drachten - Beetsterzwaag -) Nij Beets - Aldeboarn - Akkrum Arriva The route between Drachten and Nij Beets is only served during rush hours. During school breaks, off-peak hours, evenings and weekends, this bus only operates one hour before its supposed departure ("belbus"). 28 Heerenveen - Haskerdijken - Akkrum - Jirnsum - Grou - Leeuwarden Arriva Mon-Fri during daytime hours only. 612 De Veenhoop - Drachten/Akkrum Arriva This bus only operates if called 1,5 hours before its supposed departure ("belbus"). 613 Goëngahuizen - Akkrum Arriva This bus only operates if called 1,5 hours before its supposed departure ("belbus"). 621 Gorredijk - Tijnje - Uilesprong - Aldeboarn - Akkrum Arriva One run during morning rush hour and one during afternoon rush hour. No service during school breaks. 838 Jirnsum - Grou/Akkrum Arriva This bus only operates if called 1,5 hours before its supposed departure ("belbus"). This bus only operates during evenings and Sunday mornings. 839 Terherne - Akkrum/Joure Arriva This bus only operates if called 1,5 hours before its supposed departure ("belbus"). This bus only operates during evenings and Sunday mornings. 840 Nes - Akkrum Arriva This bus only operates if called 1,5 hours before its supposed departure ("belbus").